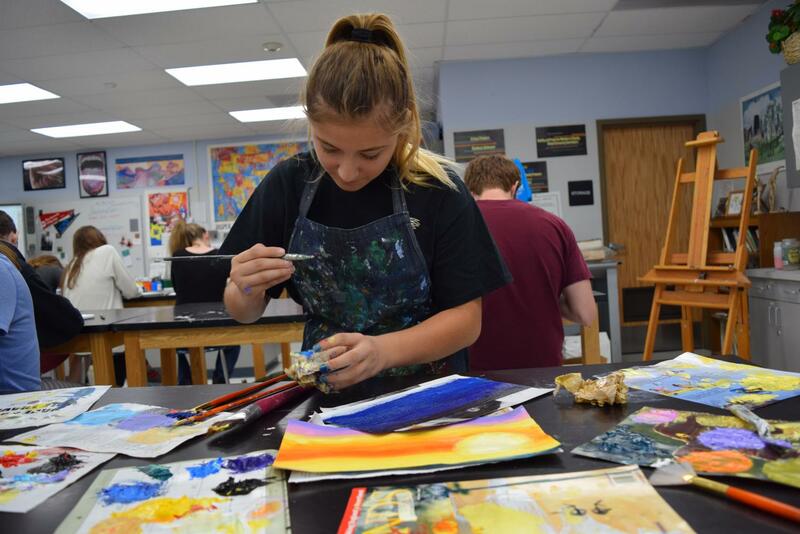 Recent years have shown an increase in student enrollment for the Art I/II Drawing and Painting classes, but according to Oak Park High School art teachers, this 2017-18 school year in particular, has brought in a wider range of artistic talent. “The greatest improvement that would have to be the quality of work. I think it’s because students see the different levels and they see what kids are doing in years past so they want to raise the bar for themselves. Their expectations are higher every year,” Bojorquez said. With standards increasing for students, there has also been an increase in the enrollment of students in art classes and in the variety of the art itself. According to Bojorquez, the drawing and painting classes began relatively small, eventually growing to over 200 students. “We started with a part time program in 3D art in ceramics. Then, I had just five classes and they were probably low 30s, with my class having 20, my advanced class having about 16. But now every class has close to 40 and the [Advanced Placement] and advanced class are 44,” Bojorquez said. Senior Max Francis, who’s currently taking the Art I/II class, said he, along with other students, would rather stick to more traditional art forms. “My favorite [art form] would be pencil sketches, which I like because I can sketch anytime. All I need is a piece of paper and a pencil. I guess it gives a sense of fulfillment, because seeing finished art feels really satisfactory, and helps me feel like I can actually see something through and not just give up halfway,” Francis wrote to the Talon. Also in the Art I/II class, senior Brandon Meyer said he prefers to experiment with different drawing concepts and media. “Recently I have been drawing inanimate objects with expressive faces because I think it is interesting to view objects with life that don’t already have it,” Meyer wrote to the Talon. Bojorquez said she was not expecting the alteration in student involvement. “It’s interesting because I don’t know these kids at all and then they pop up as seniors sometimes in a beginning art class and I’m like ‘Where have you been?’” Bojorquez said. 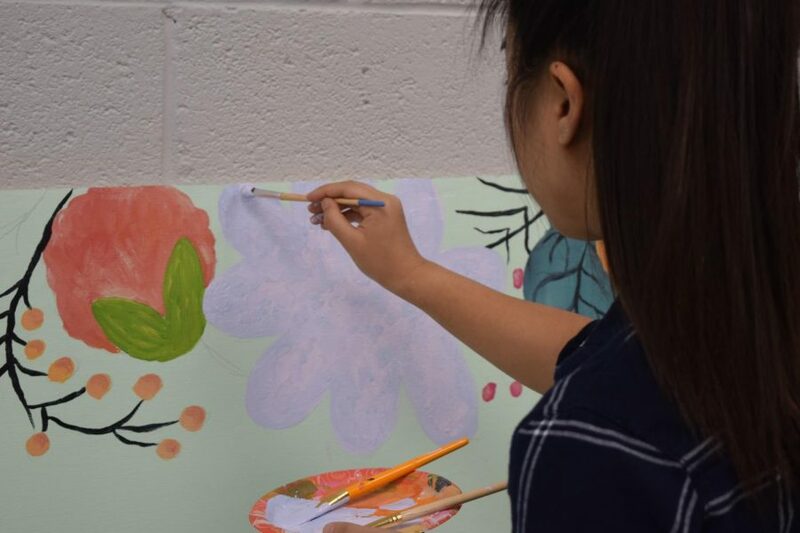 The art program, according to Francis, enables students to further broaden their skills. “We experiment with different styles, and [I can create] images that I wouldn’t normally draw, like scratch drawings, which I’ve never done. Also, the program here helped me improve my portrait drawing, which I don’t normally do,” Francis wrote. Junior Gaby Senderov said she finds it helpful that she has been given more time to review her art before Art I/II class starts during school. “I remember, before, the vision I had in my head would not end up exactly the way I wanted it on the page. Now, because I have time to dedicate solely to art in class, I can focus more and direct my attention to specific aspects of the art,” Senderov said. Bojorquez said the district has been supportive of the art teachers and program, equipping them with opportunities to develop and broaden their curriculum. “[I’ve had the opportunity] to go to some different conferences and workshops so I can bring back some information to help the kids with their art and ideas. We have a growing population of kids that are finding careers in the arts, so I’d like to have more art shows and maybe more contests,” Bojorquez said. Both Bojorquez and graphic design teacher Tony Peluce said they work to make their classes useful beyond high school application. “This [class] is geared for kids who want a career in the commercial arts or anything in the world of design,” Peluce said. Peluce uses Adobe Suite in his design classrooms, saying it’s the most up-to-date software. He teaches students how to use programs such as Adobe Photoshop and Illustrator. “I’m trying to adapt some game design and virtual reality and augmented reality to keep up with what’s current in digital media,” Peluce said. According to Peluce, students could potentially get a job in a graphic design or animation field right out of high school. “Before I took Mr. Peluce’s class I never thought I would [pursue a career in graphic design] but now I’ve been thinking about it,” freshman Miriam Gabai said. Students not involved in formal art classes, like junior Emma Zimmerman, may also take time to practice art. “I’m actually not in Mr. Peluce’s class right now, I just really like the animation and drawing so I come in seventh period [to do art],” Zimmerman said. Junior Briana Arquilevich took Computer Graphics to fulfill her technology requirement and said she learned more than anticipated. “It’s interesting because you don’t realize [all the] art that goes into [graphics]. Once you take time to study it, you realize how complicated it is, and it’s just fascinating,” Arquilevich said. Meyer said he has taken notice of the advancing classes this year. “The level of creativity that has appeared this year is really amazing and [the art] reflects well on the growing diversity [of the student body],” Meyer wrote. With more jobs opening up in the world of media, Peluce said he wants to end the stigma surrounding being an artist in modern-day terms. “I’m trying to break that stereotype of the ‘starving artist.’ [We need] to see it really as a career path and follow [our] creativity because they’re saying that’s what’s going to be most important in the new job market,” Peluce said. Bojorquez said art teachers want to make sure students are able to utilize their full potential. “If you have a passion and you have an interest, you can be successful doing whatever it is. So, if art is your passion, if drawing, if being creative, is your passion — go for it. When I majored in art well over 30 years ago, I think people laughed at me and thought I was crazy. So, follow what you really have in your hearts,” Bojorquez said.